Simplicity is paramount to creating a comfortable and casual environment while matching the décor of any setting with the proper seating. A comfortable industrial style metal bar stool has always and still has a place in various dining establishments at the counter or industrial style bar height tables for casual eating or serve as extra seating in entertainment areas. 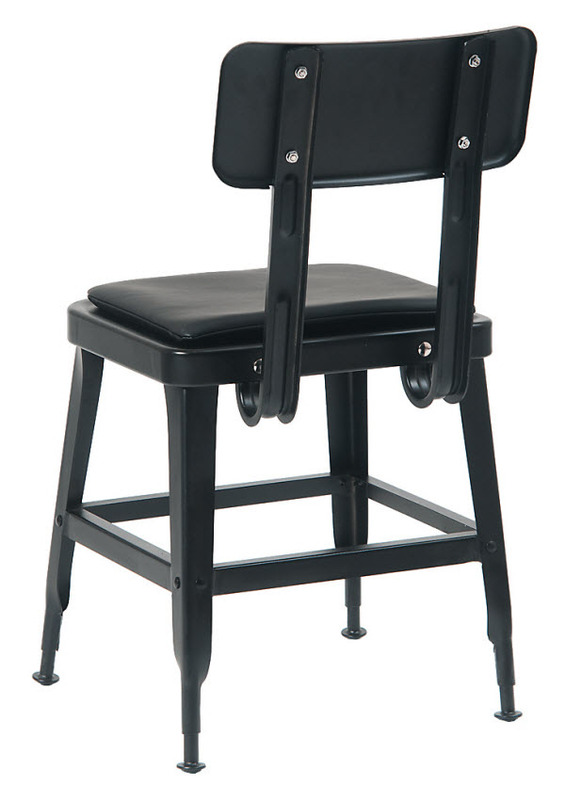 With this in mind, we've crafted and designed this bar stool to provide you with a comfortable and stylish seating option for you and your guests to enjoy. Constructed of fully welded steel for strength and stability, this bar stool stands the test of time in even the most rigorous environments. Finished in black with a footrest and a padded seat with black vinyl upholstery are essential for a classic and inviting seating experience. 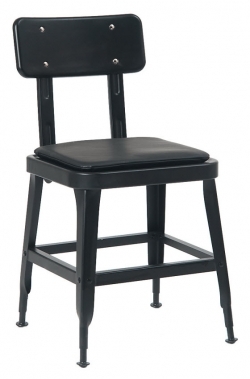 This metal bar stool certainly delivers in both quality, comfort and style. Complete your decor with a matching chair.